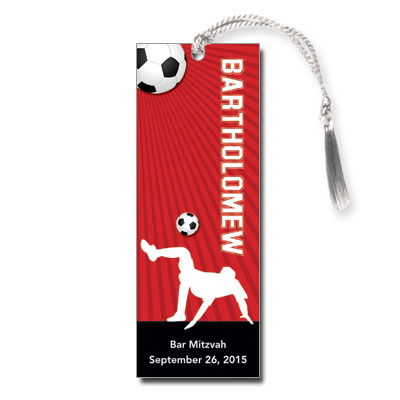 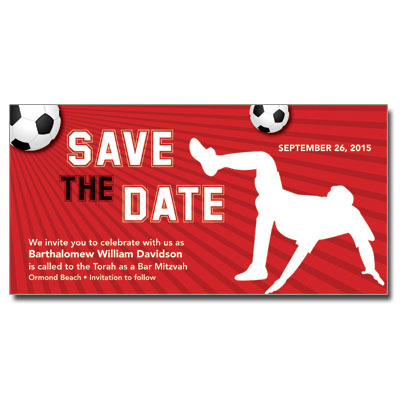 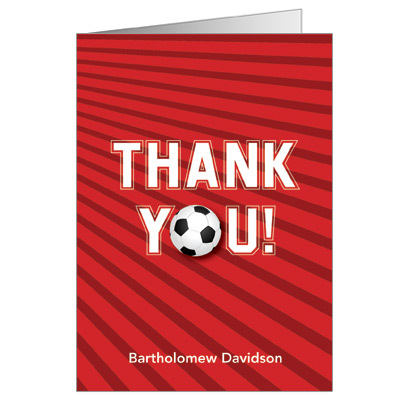 This soccer theme Bar Mitzvah save the date card is sure to score a goal with your guests! 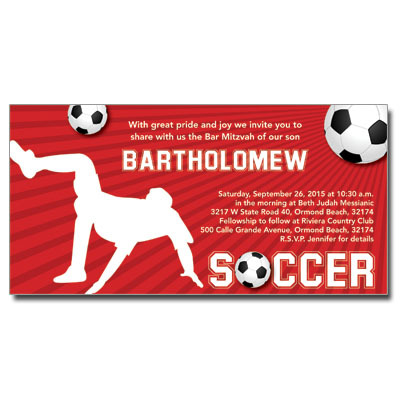 Printed in bright red and accented with white and black, this design has real kick. 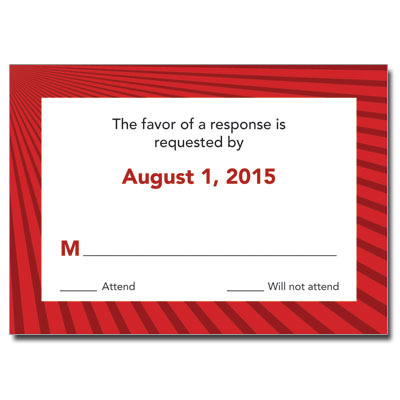 Card measures 7x3.5 in.